The levaya will take place tomorrow morning, Monday, November 26th at 9:00am at Gutterman & Musicant, 402 Park Street, Hackensack, NJ. Kevura will follow at New Montefiore Cemetery, 1180 Wellwood Ave, West Babylon, NY 11704. Chanie will begin observing shiva at her home, 124 Highgate Terrace, Bergenfield through Wednesday afternoon at 2:00pm at which point she and her mother will be returning to Florida to complete the shiva at her parents' home. Shacharit: Tuesday and Wednesday only 6:25am. 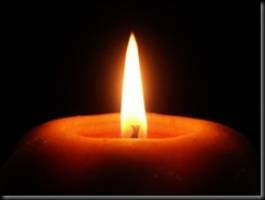 May the Saffern and Leventer families be comforted among the mourners of Tziyon and Yerushalayim.